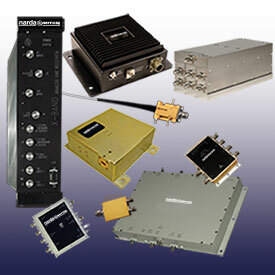 Although L3 Narda-MITEQ offers one of the broadest lines of standard communications products, the bulk of L3 Narda-MITEQ's business is in customized components, assemblies, sub-systems, systems multi-function assemblies and Integrated Microwave Assemblies designed specifically around the customer's needs. L3 Narda-MITEQ's heavy emphasis on internal R&D throughout its history has lead to the creation of a company with the ability to adapt quickly to the changing needs of the customer and market while at the same time offering competitive prices and fast turnaround times. 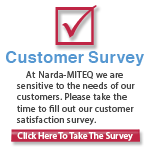 L3 Narda-MITEQ's total in-house microwave component design capability allows us to serve and satisfy our customer's needs expeditiously with single-function components or multi-function assemblies. Most of the multi-function assemblies are designed to unique customer requirements. A multi-function assembly is more compact, smaller in size and lighter in weight than a structure consisting of discrete system building blocks. In addition, a purchased multi-function assembly normally has all of the system interface problems solved at the manufacturing level, and the input/output performance will conform to design specifications when installed at the next level of system integration. Our Integrated Assembly products are backed by L3 Narda-MITEQ's3-Year Warranty and most are available as RoHs Compliant components.